Smoking cigars for beginners can be a little intimidating. You walk into a cigar shop and everyone already seems to know what they are doing. There are so many brands, shapes, and sizes in choosing cigars for beginners that even cigar enthusiasts find themselves lapping a humidor several times, weighing the plethora of options. 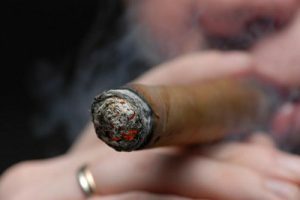 With a little time and help from this article, you will develop an appreciation for what you like, and you will be a cigar snob in no time. To get started with smoking premium cigars, you want to understand how unique the product is that you will indulge upon. There is a meticulous process that is required to take a cigar from a tiny tobacco seed, to become the beautifully constructed cigar you will hold between your fingers. In Cigardealfinders.com blog post on ‘Where Do Cigars Come From,’ it is explained how a comparison can be drawn between cigars and fine wine. A certain climate and soil content is required to procure cigar tobacco, which can only be found in a handful of regions around the world. One would say that cigar smokers make a statement. Enjoying a good cigar is like no other experience, such as enjoying a fine glass of Bordeaux. I have had the pleasure of introducing many people to cigars over the years and many have gone on to become cigar enthusiast in their own right. When smoking cigars for beginners, it is important to understand they may be subject to an underdeveloped palate, and/or low tolerance for the full smoke output of whole cigar. For this reason, it is a great introduction for beginners to start with smaller cigar sizes, such as a Robusto or Toro. A Robusto is a short, fat cigar and is perhaps the most popular cigar size in America. It is the shortest of the common cigar sizes, measuring between 4 3/4 and 5 1/2 inches in length. Because of its short stature, it often has the best flavor offering of the tobacco leaves used in procuring the product. The ring gauge (or girth) of a Robusto is usually between 48 and 52. Think of the ring gauge in terms of a ring you would have fitted for your finger. A Toro, also known as Corona Gordo, measures between 5 5/8 and 6 inches in length. While you can expect to find a ring gauge of 46 for a Toro, 50-ring gauges have become to be more common. Choosing great smoking cigars for beginners don’t have to be an intimidating experience. Look for wrappers that have an oily sheen, which shows the cigar has been perfectly humidified and that the leaf is exceptional. If a cigar has a split wrapper or noticeable blemishes, avoid it. The cigar has either been mishandled, or not stored in properly humidified conditions and will not smoke well. Macanudo Café Hyde Park is yet a fantastic smoking cigar for beginners from the Macanudo Cafe line. This cigar is well-constructed using Dominican and Mexican filler and Connecticut shade wrappers. Macanudo handmade cigars have built up a fine reputation for quality, mild-bodied smokes. However, this blend is more to the mild-medium body than others, providing sweet and tasty smoke. Baccarat is among the highest selling cigar brands in the world. It’s renowned Havana-seed Honduran long-fillers are brought together with its beautiful Mexican binder. With a mild-bodied profile, Baccarat is a tasty smoke with flavors of cocoa and nutmeg, followed by a sweet toasted wheat on the finish. Mike’s Cigars- Save 51% on Spring Forward Cigar Sampler featuring 3 of the CFD’s top recommended cigars for beginners- Click Image! The Montecristo Classic cigar is among the finest of the Montecristo line and is one of the more popular cigars in the world, originating from Cuba. Made with only the finest Connecticut Shade wrapper and the highest grade Dominican binder and filler tobaccos, this masterpiece is truly a classic smoking cigar for beginners. The smoke has a mild sweetness with nutty notes, reminiscent of hazelnuts. My Father Flor De Las Antillas is Cigar Aficionado’s ‘Best Cigar of the year 2012’ receiving a 96-rating. It is a box pressed, premier sun grown offering from Jose Garcia. The Flor De Las Antillas is a delicious medium-bodied smoke right from the first puff, with notes of nutmeg and pepper on the palate. It’s just the right amount of spice to provide enough strength, without being overpowering. Romeo y Julieta 1875 Reserva Real cigars are blended with healthy, rich-tasting Nicaraguan long-filler tobacco added to the traditional Dominican blend. Still on the light-medium end of the spectrum with its Ecuadorian Connecticut Shade-grown wrapper, these smokes are more flavorful and heartier smoke than the 1875 line. Now that you have chosen a premium cigar, it’s now time to sit back and enjoy the experience. Before you do this, you must first cut the head, or cap of the cigar. This is the end you will puff from. There are a few ways to prep a cigar for smoking. The first would be the most popular way of cutting, is the use of a guillotine cutter. This cutter come in single and dual blades to clip the head of a cigar. It’s important to remember that the head of the cigar is part of the construction. I’ve seen far too often, even seasoned cigar smokers cut way to deep into the head of the cigar. When cutting a cigar, it is only necessary to cut a 1/16 to 1/8-inch. This way the cap, which pieces of tobacco leaf applied to the head of the cigar. In many of the cigars you will smoke, the cap contain much of the flavor you will endure throughout the smoke, and is often pleasant. For this reason, many smokers often prefer the “punch” over the cutter. The punch is a small, circular tool that cuts a smaller hole through the cap of a cigar. A cigar punch is a great way to keep the cap intact, however does not work for a cigar with a ring gauge smaller than 40, or a torpedo shaped cigar. A drawback of the punch is that if the filler is tightly packed, the draw of the cigar can greatly affected when smoking. Another option to cut the cigar, and is becoming more popular among cigar smokers is the V-cut. The V-cut shaped cutter, cuts a wedge into the cigar past the cap. The V-cut will keep over 50% of the cap intact, while still cutting deep enough to give a good draw. An added bonus is that it really looks cool too. However, if using a cheap or dull V-cut, it can damage the cap and even the wrapper of the cigar when trying to cut it. Now that you are ready to light the cigar, it is recommended to use a butane lighter or wood matches, over a regular lighter or book matches. Regular lighters and book matches contain either sulfur, or other chemicals that can compromise the flavor of your cigar. Once ready to light the cigar, hold it gently in your mouth, turning it slowly a the flame kiss the foot of the cigar. Be careful to hold the flame 1/4- 1/2-inch away from the foot, as there will still be enough heat to light the cigar. This technique will ensure that the wrapper, binder, and filler will all burn evenly. Applying a direct flame will cause the cigar to burn hot and uneven. Begin to draw in the smoke using slow, gently puffs. Pulling to hard when lighting the cigar can also result in a hot, uneven burn. At this point, the foot of the cigar should glare with a glowing orange color. If the wrapper should catch fire when lighting, gently blow the flame out, and let the cigar rest a few seconds before lighting again. It is now time to sit back, relax, and enjoy smoking your premium cigar. Smoking cigars for beginners should be enjoyable and relaxing. Cigars are meant to be sipped and savored (like fine wine), not inhaled into your lungs. You want to draw the cigar into your mouth, swish and activate the senses, then gently release it from your mouth. More experienced smokers will blow the smoke through their sinuses for a more intensified sensation of the tobacco flavors. I personally enjoy this experience with spicier flavored cigars. Do not hold the cigar in your mouth or between your teeth like you see Schwarzenegger or Stallone do in the movies. This will cause the cigar to get soggy, causing damage to the cap and wrapper, and possibly clogging the air holes. Let the cigar rest for up about 20-30 seconds after every few puffs. This will allow the air to continue to flow, and for the cigar to continue to burn cool and even. Letting the cigar go out for more than 30-minutes can cause tar and nicotine to accumulate at the tip, making the cigar bitter upon relighting. 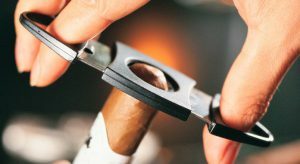 If you do find that you want to save the cigar for later, use a guillotine cutter and clip of the lit end so that no ash or char remains. Keep in mind that smoking cigars for beginners don’t have to be an overwhelming experience. There is a great variety of distinctive flavor profiles, characteristics, sizes and shapes to choose from. Tastes may vary and become influenced by many factors. Like wine drinking, one initially establishes a basic palette, with the ability to distinguish and identify pronounced flavors. With more experience smoking cigars for beginners, these abilities will become enhanced. 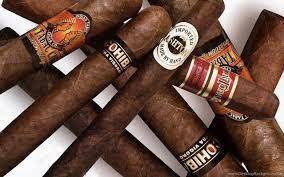 Start with known premium brands, and smaller sizes such as the Toro and Robusto. Do not keep cigars in the refrigerator. Refrigerators actually dry out a cigar. Don’t put a partially smoked cigar back into your humidor. Use a cigar savor, or just toss the cigar. A dark wrapper does not always mean a strong cigar. Although it’s true that darker wrappers generally impart a fuller taste, they may be wrapped around a light, mild binder and filler. The coolness of your smoke has more to do with the ring gauge than the length. The fatter the cigar, the greater the exposure to air and the cooler the smoke. Before removing the band of the cigar, smoke through the first 1/2 half inch. The heat from the draw will loosen the glue that is used to attach the band. Try to save the cigar bands from the cigars you smoke, or even take a photo to keep in your phone. This will provide a reference should you have to remember the brand later. Also, many people save bands for artistic purposes. 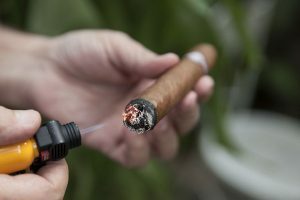 Find reputable online cigar shop in which to research and shop cigar products such as Famous Smoke Shop and Mike’s Cigars. Cigardealfinders.com is a great online source smoking cigars for beginners. 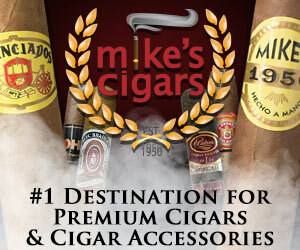 Phil is an digital marketer an a cigar enthusiast, marketing great deals on top brand cigars and accessories. Check out his site at cigardealfinders.com. My husband enjoys smoking a cigar every now and again with his brother, who’s going to be visiting in a couple of weeks. I wanted to give both of them some really great quality cigars, and you gave me some wonderful ideas that I think they’ll like very much. I really enjoyed reading about the right way to light and smoke a cigar for the best flavor and experience and will be showing my husband your article. Thank you! Thanks Janelle. Your great feedback is so encouraging. I am gaining more online shops as affiliates and your family and friends will be able to access great ideas and deals all from my site. Receive timely updates on CDF.com newsletter consisting of new blog content, cigar reviews, and featured deals. © 2019 Cigar Deal Finders. All rights reserved.